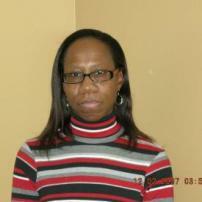 Sharon Oliver has been an avid reader since childhood, and a research fanatic and information junkie since adulthood. Over the years, the writer has created articles for various sites covering breaking news, pop-culture and a couple of interviews. She is also a published author of mystery novels with a mild addiction to potato chips - most flavors. What if the Book of Revelation 17-18 applies to today’s happenings? Did Russian ambassador sneak into Trump Tower from Carter Page's building? Is Trump using Twitter to target citizens who oppose him?